Our day has run its course. has been your heir acclaimed. “Information at your Fingertips” yclept. into websites by the millions. left behind by rising tide? have no deeds to fortify them. Talk of transport—what of it! Have they not assessed our ceaseless labor? upon which this small cottage has been built. drove the silicon dreams of thousands. and at the proper time. the larking of the infinite. shall be a matter quickly set aright. We must take the unknown leap. The future shall not echo the past. with open eyes and nimble feet. has fuel aplenty to burn. To abandon it would be folly. that all around us lightens. by dropping guns and hoisting swords? would clothe us all in doublets and breeches. will condemn us all to Marshalsea. I beg of you, cease this senseless bibble-babble. Here is a conundrum to furrow Jedidiah’s brow! no signpost marks the way. but when? That is the heavy weight. and foes put to rest. dwarfed all others yet seen. Woe betide the Geekish race! the agent of our enemies. that has curved to lurid dread. would thwart the very sun. and tarred as fool’s palaver. were scrivened in wave-tossed sand. to guide us through this narrow channel. And yet, I hear tidings. A change of the guard may yet preserve us. must spur an inner reflection. and ponder newer journeys to receive. and I must heed her pleading. have been with full conviction deployed. to steer their rudder amidst these waters. That is all a man has cause to hope for. this judgment we must discard. A phrase found more appropriate. that is all that need be said. yet for him there is no doubt. in letters ten feet tall. or wither on the vine. Sherwood Forest is the name. shall indeed be the site. to exceed my grandest dreams. to shame old Coleridge’s opium-laced dream. To keep approaching Porlock at bay. til very nature begged for mercy. galloped as if pursued by screaming hounds. What news of this OS/2? vanquish all obstacles upon us. lies in the unseen scope. ‘tween Friday’s dusk and Monday’s dawn. ‘Pon rep, do not by hubris be so veiled. Unseen rocks adorn these depths. Printing, alone, befouls the finest minds. an unloved yoke surrounds our necks. dragging us towards murk unseen. may well sit furthest from the top. Of all my counselors, your wisdom has leastly led me wrong. Fain would I hew to your words. of foul trick their way dealt. only as a tree heeds a butterfly. This chance we must take. Chance, indeed, may not be the word. advantage ourselves of this fact? are mist above the morning dew. until Spirit and Majesty have their say. than to seek permission in springtime. Our bear-claws shall remain in sheath. so, ably girded, forth we go. the Colossus once again astride the harbor. 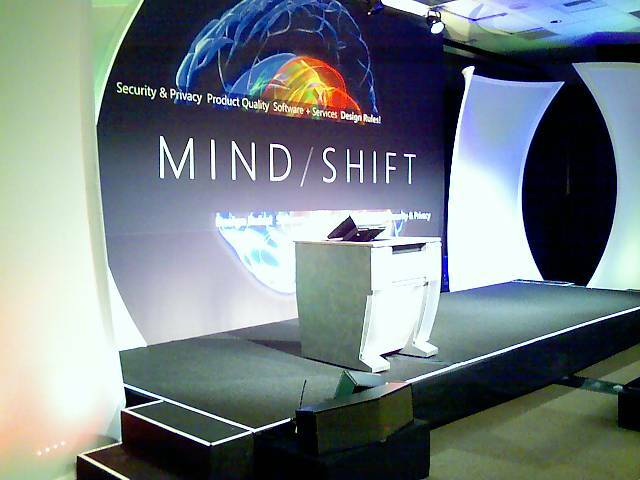 lays claim upon your mind? the seed our youthful endeavors cast to earth. It is yours to marvel at. “Popular Mechanics” is the name. “Altair 8800” upon its brow inscribed. the engine of our ascent. No less than the truth escapes your lips. from which many ripples shall flow. I am spurred to action. yet now I must turn away. are fuelled by the same fire. may fall short of yesterday’s plans. Ay, time is of the essence. could scarce be else appeased. A visitor’s descent was remark’d. We bid you well, Gates. such as has not been seen before. Cert your tale has caused my ears to prick. we in our row, and he in his. Yet he was not of a mind to answer. Can you provide what we desire? I must consider a moment. but our quiver is bare. the lore of which they speak? This cavil will be dismayed in short. where such can be obtained. What profit will this undertaking bring? This is but one contrivance among dozens. the loss will be a trifle. but not carry the burden. others who will slake the need. by ten, and ten, and ten again. to lodge in your addled pate. Understood. I shall adopt this newfound reason. Its light will guide my footsteps. Speak, then, that the die be cast. it seems our paths will be for the moment intertwined. We will supply what you demand. I have been glancing through the book Affluenza, after my son got it from the library for a school report. The book is somewhat repetitive and you can probably get the gist of it by reading the blurb on amazon, or (if you are on Microsoft corpnet and can read it for free) the getAbstract summary, but it makes some good points. So the book is ranting about people buying too much stuff and how this is ruining everything, and it occurred to me that Microsoft's corporate values seem to be very much in line with the forces that Affluenza is railing against. We encourage people to buy new computers to take advantage of new features, to replace their cell phones with Windows Mobile devices, to buy a new car with our software, etc. And we are now moving in the direction of targeting ads at people, in other words basing a business on telling people "here is some new crap that you didn't even know you needed." Now, I'm not saying we're any worse than any other consumer company that depends on people buying new stuff to stay in business. There are certainly areas where we try to be eco-conscious: on campus they are replacing the polystyrene cups and utensils and compostable ones. But it seems the progressive view would be to step back and work to sell people software that does NOT require new machines to run it. Given that most of our projects are just bits that produce no carbon footprint, it would be nice to avoid having to drag so much silicon and plastic along with them. Is this serious? On the CNN home page today there was a headline "Teen says no to Princeton, Yale, others". Of course with a juicy headline like that (saying no to Princeton???) I wanted to check it out, but super-annoyingly the link was to a video (the link is here if you want to watch it) (sorry, couldn't resist, the real link is here). I hate video-only links because I really don't want to watch a 60-second video about it (complete with commercial), I just want to scan the article in about 10 seconds. Anyway I then noticed another little icon next to the link that looked a little like a t-shirt, so I clicked on it and I got to...WTF? Then you click on the FAQ and the first question is "What are the minimum computer specifications required". But as far as I can tell, it's for real. In Seattle Mariners news, they just filed their GM, Bill Bavasi, for spending $100+ million payroll on a team that is 22 games below .500. I think the problem goes beyond the GM. The real problem is the ownership group, which is firmly committed to a strategy of developing young players and then trading them for older players. In other words, trade good, cheap players for bad, expensive players. This strategy is doomed to failure and no amount of firing of GMs, managers, and hitting coaches will fix it. I went to the Mariners-Marlins game last night. I looked at the two rosters and grouped them into people born in 1975 or earlier, between 1976 and 1980, and 1981 or later. In other words over the hill, in their prime, or improving. The Marlins have 4 over the hill players, 11 in their prime, and 13 improving. The Mariners have 9 over the hill players, 7 in their prime, and 8 improving. No surprise that the Marlins are in a pennant race with a $25 million payroll and the Mariners are terrible. I did get to see one of the Mariners' young players, Felix Hernandez, pitch and at times he was spectacular. In the fourth inning he struck out three players on nine pitchers, which I read somewhere was only the 13th time in American League history that had happened. In fact if you look at this pitch-by-pitch account of the game, you will see that he struck out six people in a row on 20 pitchers, and in the second through fifth inning he only threw four balls (and was one home run short of perfection). Then things got a bit dicey, but we did hang on to win the game. I actually have a pet theory that the Mariners are bad because we have bad...sportswriters. The local sportswriters seem to be a very old-school bunch who love over-the-hill power hitters and therefore inspire the Mariners to keep signing him. They ran Freddy Garcia and Bob Melvin out of town on a rail under dubious pretexts, and continue to think that Lou Piniella was a good manager. When Asdrubal Cabrera did his unassisted triple play, they were moaning about how could we have let this guy go. Because of one play!! (The Indians sent Cabrera down to Triple A four weeks later for producing an unassisted lousy batting average.) With that nonsense going on in the background, how can any team hope to do well? One theme that emerged at the Forum last week was groups outside of Development wanting to get a "seat at the table." This is a conceptual table, but I suppose if you wanted to picture a real table, it's the table in a conference room where a triage meeting was taking place, trying to decide which bug fixes to accept late in a product cycle. 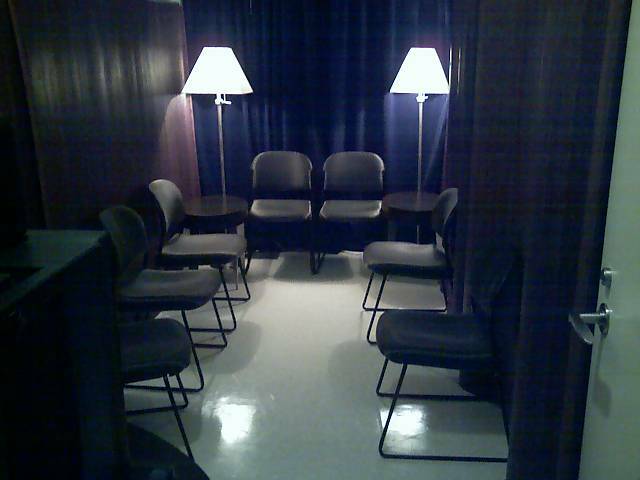 Or perhaps a meeting about adding a feature after the coding phase has begun. Program Management unquestionably has a seat at the table; if there was a battle to achieve this, it happened before I got to Microsoft. Test did not have a seat a decade ago, but by dint of long hard work they have achieved it. In Proudly Serving I wrote that at Microsoft the 1980s were the "era of the developer" and the early 1990s were the "era of the program manager" (in terms of which group had the most power in determining what features and bug fixes were accepted). I also claimed that the "era of the tester" began around 1995, but that "Unfortunately, not too many people are aware that Microsoft is currently in the era of the tester—in particular, the testers themselves don’t realize how important they are." But I think, just a decade or so late, the era of the tester may finally be upon us. I was in a Forum session last week, in a discussion among people from different disciplines, and a tester explained something with the phrase "Testers Rule"; this was not the first harbinger of the possibility that test may be where it's at at Microsoft these days. I myself have toyed with the notion that if I go back to a product group, test may be a more rewarding place to pursue my interests. Anyway, so you have Dev, PM and Test at the table, and others want in. In particular there were 3 Forum sessions I attended in which Project Management, User Experience (UX), and Operations discussed how to get a seat at the table. (Interestingly, I heard somebody discussing how Apple does it, and they said they (metaphorically) have a table with four seats, with Project Management and Design (aka UX) occupying two of them, Marketing in one, and Engineering (meaning Dev/Test/etc--the people who currently fill all the chairs at Microsoft) confined to the single remaining one. There was nothing about Operations, but I assume for a web service product, Apple would pull up a fifth chair for them, rather than stuff them into the Engineering chair). The general tone of the seat-table sessions was "We need to prove our worth to be respected", which I think is a healthy change away from the "We just need to work harder and harder and do our jobs better and better" angle that I used to hear, but it's still unfortunate that Dev can't just recognize the value of these disciplines, which has been shown over and over outside of Microsoft (and inside of Microsoft, if anybody cared to look beyond their own group). The table-sitters generally still have a "throw it over the wall" attitude towards the other disciplines (this was how Dev was vis-a-vis Test a decade ago; now it may be that Dev is grabbing the arms and Test is grabbing the legs). All three organizations have the advantage that Test has softened up Dev a bit, but they also face a challenge that Test did not. Although Test had to fight to be listened to, in the end when you show a developer a bug they will admit that it is a mistake that should be fixed. UX, on the other hand, could point out a fit-and-finish error that confuses a user, and Dev may never come around to admitting that it is worth fixing late in the game; most bug bars (meaning the level of seriousness that a bug has to hit before it will be accepted) only talk about data loss and crashes, plus geopolitical, legal, accessibility, and all that. Project Management and Operations fall in-between UX and Test on the scale of how much empathy Dev would have for their problems. On the other hand, the UX Excellence team is a peer of the Dev Excellence team, whereas the Ops Excellence team is organizationally just a bit further away, and there is no Project Management excellence team (Project Management is currently a neglected subset of Program Management). I'm not sure how much the relative position of a discipline's EE avatars affects what happens in the product groups; we'll have to wait to see how this all shakes out. This week is the EE & TwC Forum in Redmond. In other Forum news, I went to a session on trendspotting that featured the inimitable Francoise Serralta from Peclers Paris, who we last met four years ago, in one my first blog posts. She was back to update us on what was happening in the consumerist space (the consumerist space, I assume, is where consumers operate; they perform consumeristic acts in a way that is consumeristical). She brought a copy of Futur(s) 8, the latest update on her "annual transversal global tool", as she refers to it. Less semiotically-inclined folks might call it a "book", although that doesn't quite do it justice. It reminds me of an excellent book called Typologies that I bought at the Seattle Art Museum, but in full color, encompassing every aspect of discretionary spending, beautifully arranged in wave after wave of visual haiku, arrayed on a sumptuous pillow of super-heated prose adorned with Serralta-isms like "glocal" and "omniconnection". Not to be missed if you get a chance to look at a copy. Francoise's latest transmission from the near future reveals that today the look and feel, color, style etc. of a product is more important than the functionality. She quoted somebody saying that because we have everything we need, the things that engage us will be things we do not expect. But of course, you have to hit the trend wave properly, which is where Peclers (and the $6700 Futur(s) 8) comes in. To successfully capture the attention of today's paradoxically-motivated consumer, you must target the right point in the consumerist space, which this year is arranged along two axes, materiality (abstraction vs. sensation) and time (slowing down vs. speeding up). The four quadrants are labeled Alternative, Endurance, Emergence, and Flamboyance (I'll leave it as an exercise to the reader to figure out which is which). I find all this stuff fascinating and when I heard that she was speaking at the Forum I dropped my plans to go see Roger Martin speak, and was richly rewarded with an hour-long tap into her brain. After Francoise came a couple of people who had worked on hardware designs for Microsoft. They were a little more under the control of the Earth's gravitational field, but they also talked about trends, and how they had studied different consumer "attitudes" with names like Indoor Jungle and Hollywood Luxe, then chosen one attitude that would dictate not only the product's CMF (aka Color/Material/Finish), but also the packaging and marketing. I know it sounds strange to a pencil-necked geek, but this really DOES matter. I recently bought a Zune and I find its CMF vastly superior to that of my old iPod. Zune may not pass muster with Francoise Serralta, but its mix of colors and textures is much more in tune with $4/gallon gas than the iPod's metallic "Bush-first-term-we-are-winning-the-war-in-Iraq" vibe. Being exposed to all this makes me think that if I go back to being a plain developer it may seem a bit...boring. One other thing about the Forum is that they have a bookstore. On the first day they had five copies of Find the Bug. On the second day they were down to four; every time I walk by I check, but nobody else has bought one. Oh, and rather than give us a gift like a mini-toolset, every attendee can pick one of 3 charities and Microsoft will donate money to it. Which I think is a great idea. 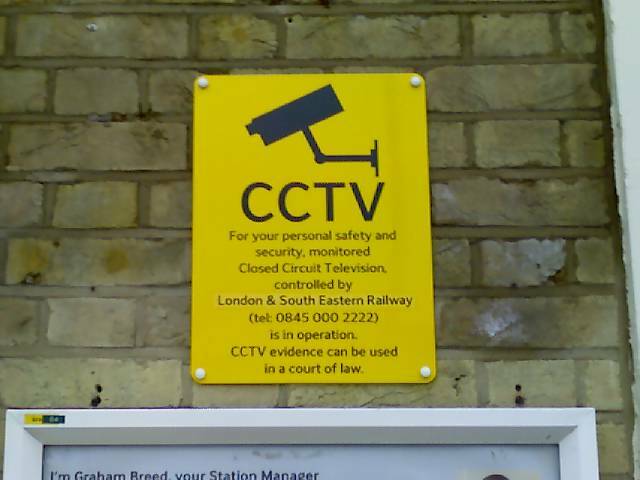 When I was in London last month, one thing I noticed was Closed-circuit television (CCTV) cameras everywhere. 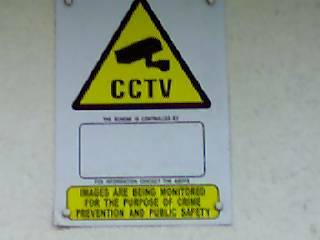 Actually the CCTV cameras are not particularly in evidence, but the CCTV signs are everywhere (some of them are possibly decoys, who knows). At the Science Museum they had a sign that claimed there were (I think) 4 million CCTV cameras in Britain. 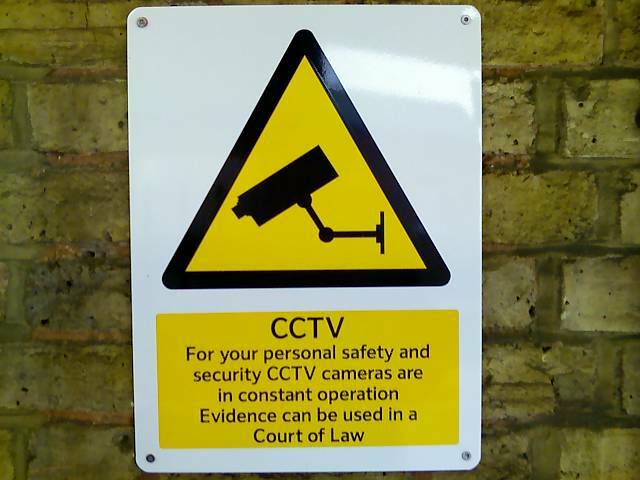 The sign announcing this was gleefully located just under a camera that was filming the entrance. They certainly abound in all the transit stations, parks, and tourist attractions that I visited, as well as the entrance to chi-chi apartment blocks near Harrod's. One related fact is that there are also lots of speed cameras on the highway. In fact the guy driving the rental car shuttle at Heathrow warned me about them. When I was driving on the highway I tried to keep pace with the other cars. Of course a speed camera can zap everybody at once but I figured that experienced drivers would know where they were, so if I just kept pace, the wisdom of crowds would kick in and slow everybody down anyplace I could get nabbed. Sure enough when I finally received the letter with the ticket, the license plate that had been faithfully captured by the camera was not the one on my rental car (the infraction was entering the Londong Congestion Charging Zone without paying; I was aware of the Zone and had purposely avoided driving downtown for this reason (and other reasons, like the congestion that the Zone is designed to alleviate)). I confined my actual driving to a Heathrow-Windsor-Shepperton triangle and rode the train into the city. But now I have to remove this blot from my record, and I'm not particularly sanguine about my chances. I faxed a detailed letter to Euro Parking Collection, the company that administers the fines for the Congestion Zone, documenting all of this (my rental receipt, the dual charges on my Amex bill, the letter from Avis with a different rental number from mine) but who knows how long it will take them to untangle this. I currently owe 60 pounds, in 14 days (of which 11 have already passed) it goes up to 120 pounds, and in 28 days it jumps to 180 pounds. And it all began because Avis made a simple mistake in assigning a charge to the wrong credit card. I complained to Avis about the double billing and disputed the charge with Amex, but the chain that has to be followed is pretty long. Amex will talk to Avis, Avis will hopefully talk to Euro Parking Collection, maybe Euro Parking Collection has to ask Boris Johnson about it, but meantime the fines will be mounting. If EPC contacts Avis too quickly, before Avis has finished their investigation, they may come back confirming that it was indeed my rental, and then EPC will come after me with renewed vigor. Hopefully justice will be served in the end, but I may wind up banned from the UK for a couple of years first.